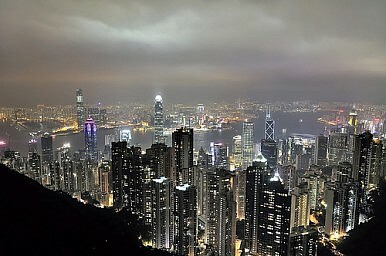 Hong Kong is first in Asia, seventh in the world, according to the Global Innovation Index. According to the just-released sixth edition of the Global Innovation Index (GII) survey, Hong Kong has surpassed formerly top-ranked Singapore to become Asia’s most innovative market and seventh most innovative worldwide. Former champ Singapore’s global rank is just behind Hong Kong at number eight. The GII survey is coproduced by Cornell University, INSEAD and the World Intellectual Property Organization (WIPO) and aims to shed light on both more traditional markers of innovation as well as assess the softer elements that are conducive to creativity and progress – namely, institutions, human capital, research, infrastructure, and output of knowledge and technology were factored into the study. Globally, the only countries to rank ahead of Hong Kong and Singapore are pack-leader Switzerland, followed by Sweden, UK, the Netherlands, the United States and Finland. Denmark and Ireland ranked took the ninth and tenth spots. The results of the survey were unveiled yesterday at an event hosted by Huawei Technologies in Shenzhen. The choice of host was appropriate. Huawei is a beacon of innovation, partnering with five Hong Kong universities and pouring “tens of millions of dollars” into beefing up its innovation quotient. Hu also highlighted the crucial role of Hong Kong’s stable legal environment and the level of freedom in its market. He also stressed the importance of protecting intellectual property and harnessing the Internet. After leaders Hong Kong and Singapore, New Zealand was ranked third in the Asia-Pacific region (17th globally), followed by South Korea (18th globally), Australia (19th globally), Japan (22nd globally), Malaysia (32nd globally), China (35th globally), Thailand (57th globally), and Mongolia (72nd globally). The full GII rankings can be seen here. Asian countries are moving on up in the latest innovation ratings. Can the region sustain its progress?